Some of you may remember that last year, a bunch of us Austinites teamed up against some of my former Bostonians to raise awareness and help fight prostate and testicular cancer during the month of November. 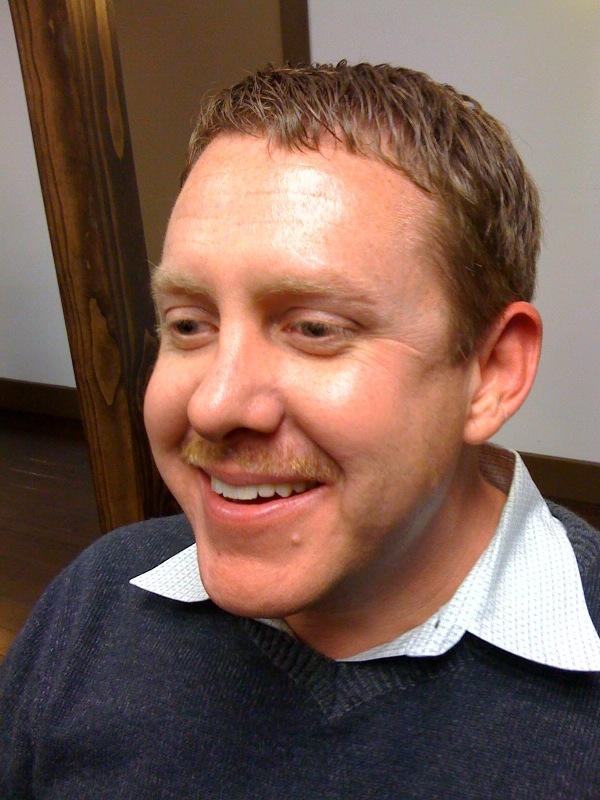 The end result of our Movember campaign was a 50 person team with over $18,000 in donations. This year, we’re hoping to make it bigger… five times bigger to be exact. We have big plans to incorporate corporate donations, scavenger hunts, famous sports figures and lots more. What’s fun about this fund raising effort is that not only focused on encouraging people to donate money but more importantly, it’s about team building and creating awareness so that blockheads like me who at least one point in time in their lives thought they were invincible, do something about getting regular checkups. 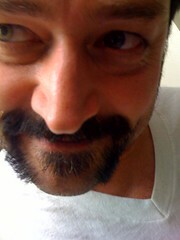 Oh yeah, we also get to grow mustaches (or if you’re female, you get to Photoshop on a mustache). 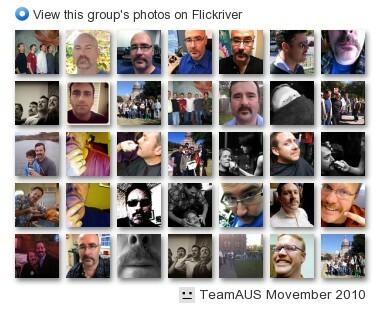 In fact, the pictures you see here are some of our late stage “mo’s” that team Austin grew last year. Most importantly, you’re probably asking yourself how you get involved. Well, I’m happy you brought it up. First and foremost, we’d like you to sign up. Don’t worry, there isn’t any hazing (well, not that we can speak of anyway). We have about 30 people 56 people on the team now with another 20+ that have verbally committed. That means we have 170 more to go. So get your friends, family and colleagues to sign up too. The second way you can help is to donate. 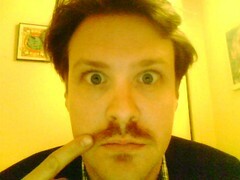 Now I won’t lie to you, if we’re going to get close to $100,000 this year, we need people to donate. But if I had my druthers, I’d rather have you sign up for the team and not donate a penny than the other way around. 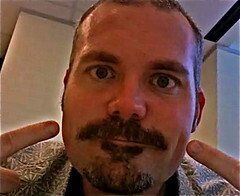 With that said, I know many folks are pressed for time (or don’t want to grow a mustache) so if this is your thing, far be it from me to stop you. Finally, we will be spilling the fun over to Facebook and a central touch-base site that my man, Wesley Faulkner will be running. Stay tuned for details on that front. Last but not least, here is our Flickr collection from THIS YEAR. 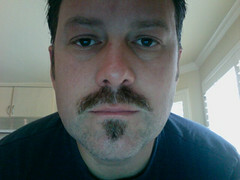 I’ll be swapping this out for this year’s once we start to get our Mo on.